In Thailand there is a class of hotel called a ‘Mansion’. This is not a guest house or resort as such. A ‘Mansion’ is a moderately priced, functional and well located hotel where a clean room, private bathroom and TV costs around 400 to 800 THB a night depending on your location. People travelling for work would use this kind of hotel. P F Mansion near Tesco Lotus Chaweng falls into this category. 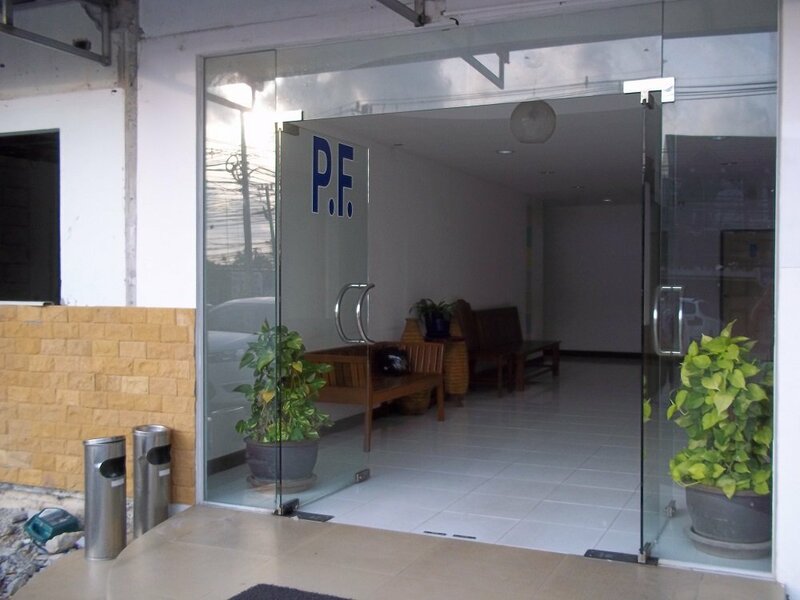 P F Mansion is in the car park right next door to Tesco Lotus Chaweng. 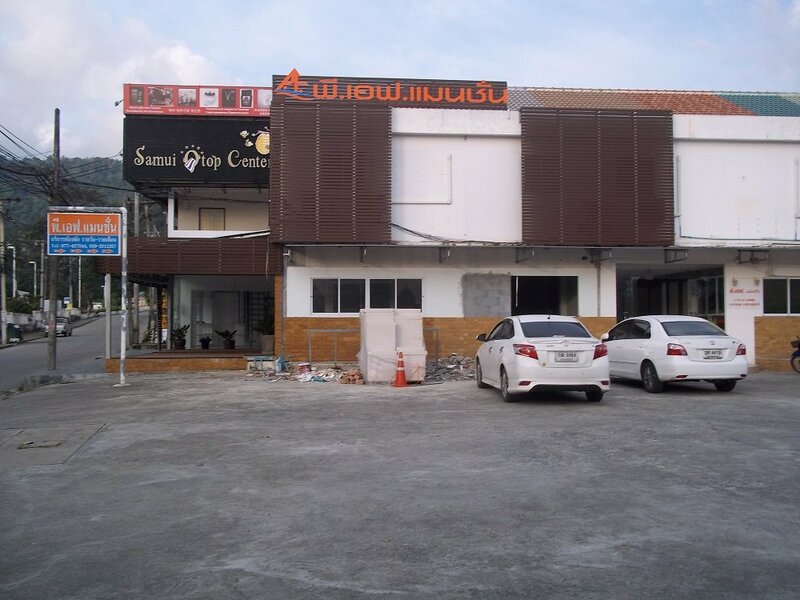 It is in the building adjacent to the Samui OTOP Centre. This location worked well for us because we wanted to go to Central Festival Samui in the evening as well as be close to the main ring road, as we had an early morning appointment in Nathon town and it easier to pick up shared taxis if you are waiting on the main ring road than it is in the centre of Chaweng. The only facilities in this hotel are the entrance lobby and 24 hour reception office. There are two floors with lots of rooms on each. The rooms are a bit ‘spartan’ to say the least. A wardrobe, a fridge, a TV and air-con. All painted white with no pictures on the wall. The bathroom was small but also had a shower. 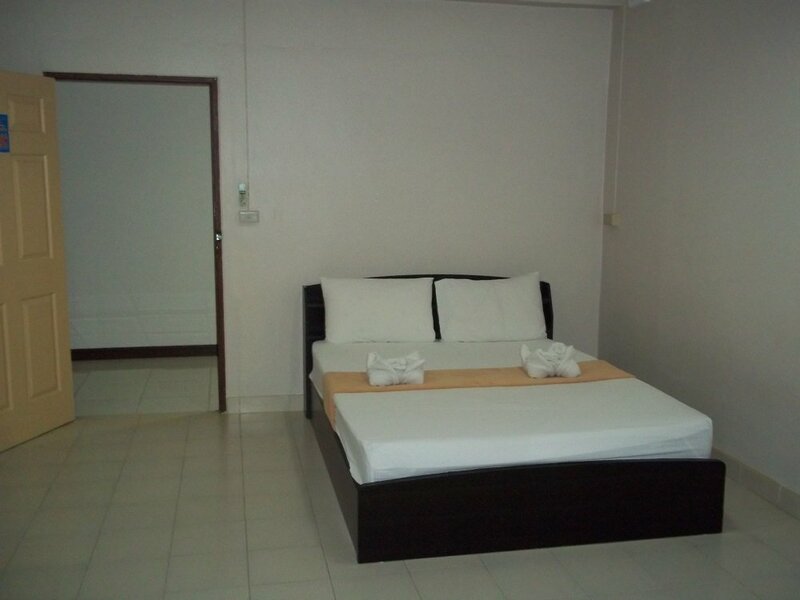 However, for the price it compares really well with other rooms on offer in the Chaweng area. Everything was clean and the air-conditioning worked fine, as did the free WiFi. Not everyone who comes to Chaweng in Koh Samui does so for a holiday. Koh Samui is the largest island in the Angthong Marine Park archipelago and serves as its administrative, commercial and transportation hub. If like me you are there for a specific reason and you just need a bed for night, then consider doing what the Thais do and start using the Mansion hotels of Thailand. You get much better than you would for the money if you stayed at a hotel aimed at the foreign market and, by and large, you get away from people doing exactly what tourists should be doing on holiday, which frequently involves making noise late at night after getting drunk in a bar. People staying at Mansion hotels tend not to do that because they are staying there with the intention of getting up early the next morning to do something.